Q&A with R&A - Should I contribute to a 401(k)? 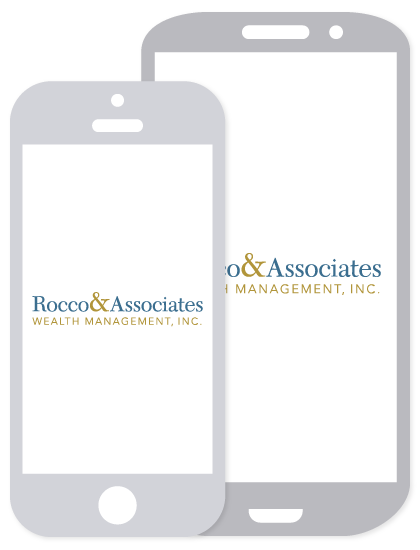 March is retirement planning month at Rocco & Associates, and there is not a more fitting topic to discuss than 401(k)s (and other retirement accounts you may have at work like a 403(b)s, 457 plans, deferred compensation plans, etc.). One of the most common questions we get asked by clients is if they should contribute, or are they contributing enough, to their retirement plan at work. The short answer: there is no better way to save money for retirement than through a tax deferred or tax free retirement plan. However, like most things, there is no one size fits all solution for all savers out there. A 401(k) is a tax deferred retirement account where you put money into the account pre-tax (so the money does not count toward your taxable income on your paycheck), it grows tax deferred, and then you pay tax on the money when you take it out of the account in retirement. For example, if you make $100,000 per year, but contribute $10,000 to your 401(k) your taxable income at the end of the year is $90,000. That is a tax savings of $3,500 for single filers! That money will grow tax deferred, meaning you don’t pay tax on the capital gains or dividends generated during the life of the investment, until you take the money out during retirement. Once you take the money out of the account, you must pay tax on every dollar because you have not paid any yet. However, the theory is that your tax bracket will be lower in retirement then it was when you were working, so you should pay less tax later in life. You must take our money after you turn 70.5, this is called a Required Minimum Distribution(“RMD”). The amount is calculated based on your age and the size of the account in December 31 of the previous year. If you do not take your RMD the government will charge a 50% penalty on what should have been taken out. In most cases the money is in your 401(k) at your current employer unless you are no longer with the company. This means that you must use their investment options and follow their rules. Once you leave a company you have more options. Generally, we recommend that you contribute at least up to the amount your company will match. When you are saving money this is the first place we think it should go. After that, the amount you contribute really depends on your cash flow and financial goals. If your next big financial goal is a new house, then maybe contributing to the match and saving money on the side at your bank is the better option (because you can use your savings to buy a house, you cannot use your 401(k) money unless you are over 59.5). If you are unsure of how much to contribute you should try it out by contributing the money to a savings account for 3 – 6 months. If you find that you never have to dip into your new savings, then you know that you can live off your cash flow after you make your 401(k) contribution. Never forget that you cannot take it out! Then ask us! All month long we are doing free reviews on our clients’ and friends’ 401(k) plans. We will go over the matching amounts, plan rules and investment options with you so that you understand where your money is going. Almost every time I ask someone whether they have received professional guidance on their retirement plan, their answer is almost always no. Here is your chance! The article focuses on traditional tax-deferred 401(k). Tax free plans, known as ROTH 401(k)s, or designated Roth accounts, function the opposite of a traditional 401(k) where money is contributed in after tax dollar but taken out tax free. If you have questions about which account is right for you give us a call!